I have had a lot of requests for creating an adult-size version of The Little House Shawl. I have made three or four variations, and this one is my favorite. Read on for simple modifications. 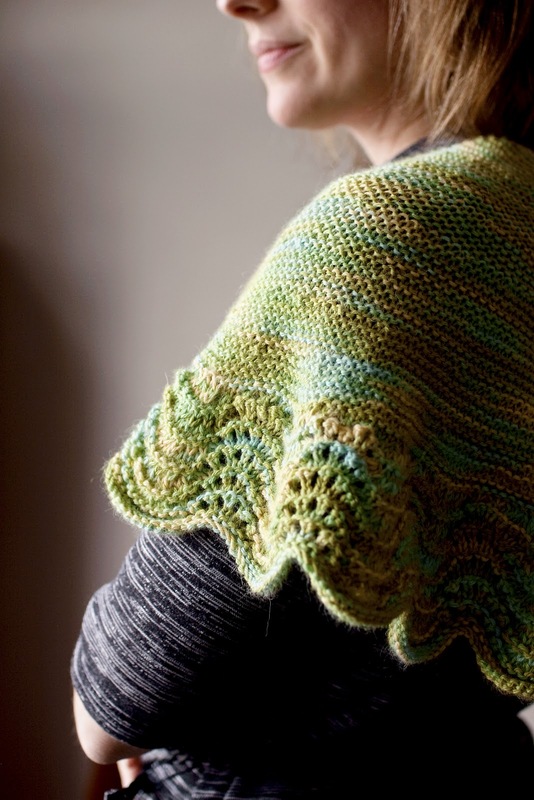 Follow instructions exactly as written for the child's Little House Shawl, substituting dk weight yarn and using size 6 needles. 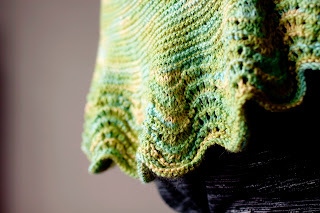 I used about 480 yards of this scrumtious Lorna's Laces Honor, a luscious alpaca and silk blend. Yummy. Hi! 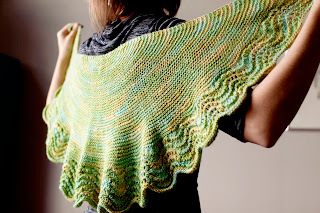 I'd love to know what method of casting on you recommend for this shawl! Hi Jackie, I used a long tail cast on for this project. I hope this helps! Hi Janice, the child's shawl uses 1 skein of Malabrigo sock yarn. Happy Knitting!